Has Holland run out of designers? ‘Not exactly’, says Oscar van Gelderen from Lebowski publishers. 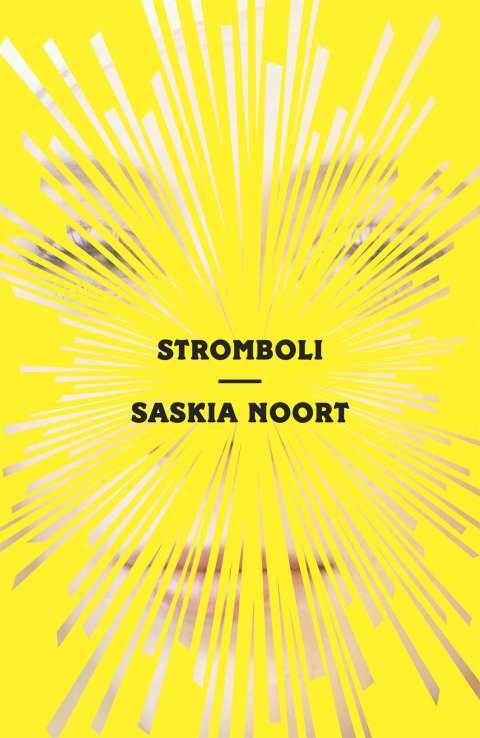 ‘There are quite a lot of good Dutch designers.’ Then why did he go looking abroad for Saskia Noort’s novel Stromboli? That’s in line with ‘our more internationally focused publishing strategy,’ Van Gelderen explains; after Lebowksi earlier sold the rights to Astrid Holleeder’s memoir Judas to Steven Spielberg (via Willam Morris Agency) he now hopes to achieve similar success with Stromboli and Noort’s other titles. Behind the exploding light on Stromboli Hansen put the fragmented portrait of a smiling woman (not Noort’s face); a visual rebus that makes you puzzle and keeps returning in Hansen’s work in ominous varieties. The spectrum goes from a face smothered in gold on Deepti Kapoor’s A Bad Character (Vintage, 2015) and absurdly blown-up headshot pixels on Lara Williams’ A Selfie As Big As The Ritz (Flatiron, 2017) up to the sinister mutilations on Dexter Palmer’s Version Control (Pantheon, 2016).